During the Victorian age, Estate Fencing was probably the most common fencing erected on country estates throughout Britain. The fence had the strength to contain cattle without being visually obtrusive on the landscaped parkland. Much of the fencing erected in the nineteenth century is still in existence, but reaching the end of its working life. Until recently, replacement had been difficult, often involving expensive blacksmith-made copies. Today Boundary Services offer Estate Fencing in a range of styles at highly competitive prices. 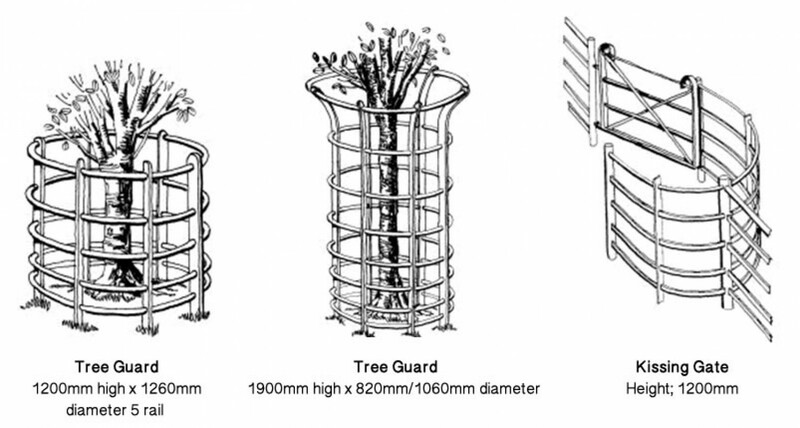 To complement our Estate Fencing we offer single leaf and double leaf gates to match, as well as, Kissing Gates and Tree Guards.